Anyone tried this without taking the bumper off? Blue, can you please post some night pictures? 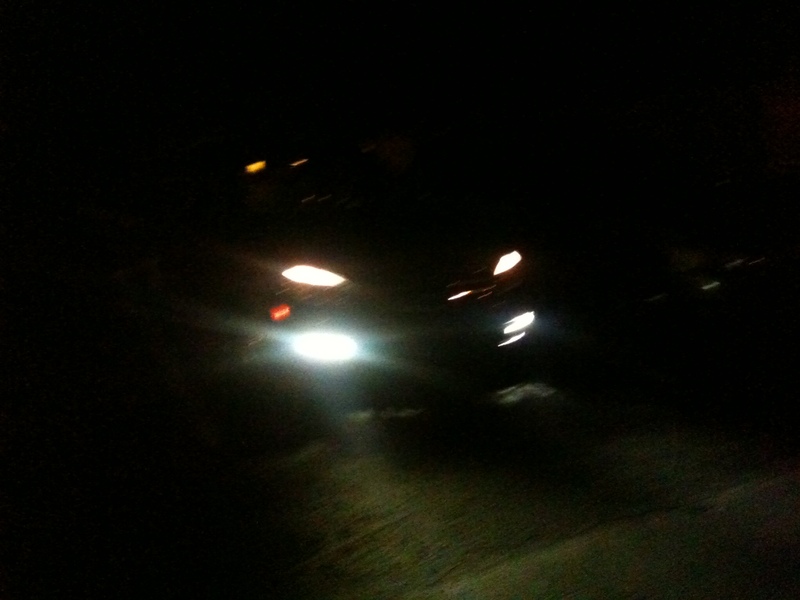 I am curious to see how bright they are at night compared to the headlights. Thanks. Saw a G35 coupe yesterday with the hockey stick LED DRL. Pretty damn cool. Does the bumper need to come off to do this? yeah, bumper definitely needs to come off.. I'll try to take some night pics sometime soon. So even if I find a different power source and dont use the side markers, there is no way that we can take the fogs off by folding the plastic molding by the wheel and unscrewing the old fogs? Thanks blue. I mean.. MAYBE you could could get all the pieces wired and inserted correctly with the bumper still on, but you would be making it a much tougher job than it needs to be. The bumper is seriously a 5 minute removal. 6 bolts total, all relatively easy to get to.. Thanks blue. Cant wait to see the night pictures. Blue, did you get a chance to take some night pictures? Anyone have any ideas on what the LEDs can connect to, so that it's ALWAYS on as long as the ignition is on or like jimmy said above, so that it'll light up when you unlock your car. Wondering if theres a way to do both?? Seems like it's one or the other. I saw the hockey stick LEDs for my 2009 C300 for about $200 plus shipping complete with resisters. No cutting involved.They come with the plastic piece Forgot what the plastic piece is called. I just don't like the hockey stick setup.I'd rather have them straight in line,even if there are less of them,so they look at least similar to the original MB ones. I am working on this project right now as well, thanks to the awesome guidance of blue00r6. For the OEM wiring plugs that are recommended, I called my local dealer, and they insisted on having a VIN to find/order the parts (tried multiple dealers in Dallas, got same initial question from all of em) so i just gave them a VIN # for a 2012 C300 Sport that was listed on eBay, and they were able to order them for me, but obviously under my name (not the eBay guy). It was really cheap for the plugs, like $16 for the pair or something. They didn't require payment up front b/c it was a low ticket $ order, so they're just going to call me when they arrive in a few days. I have a local performance shop who has a serious garage doing the install, and hopefully it turns out well. The Parts.com stuff was around $390 as mentioned on the thread. I think this setup is much better than the hockey sticks in terms of resale value, so that's why i went this route (although more expensive). Hope this helps any others who make the attempt. 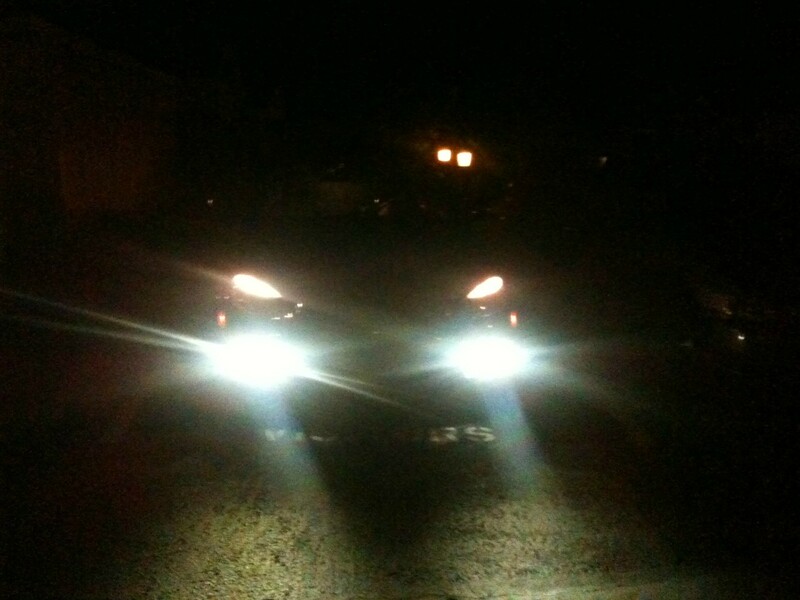 I recently finished doing my eyelids/sidemarkers with AZNOptics 5000K LEDs, and these DRLs should complement them well. Crap, i don't have them because i did the order over the phone without knowing them, just by providing a VIN for a random 2012 C300 Sport that had them. Assuming they put a packing list in the box i pickup Wed/Thurs at the dealer next week, i should have them then if you want me to post it. those hockey stick LEDs are for the luxury model, if you look at the pics you can see the shape is NOT for the sport bumpers. What do the replacement mesh surrounds look like? 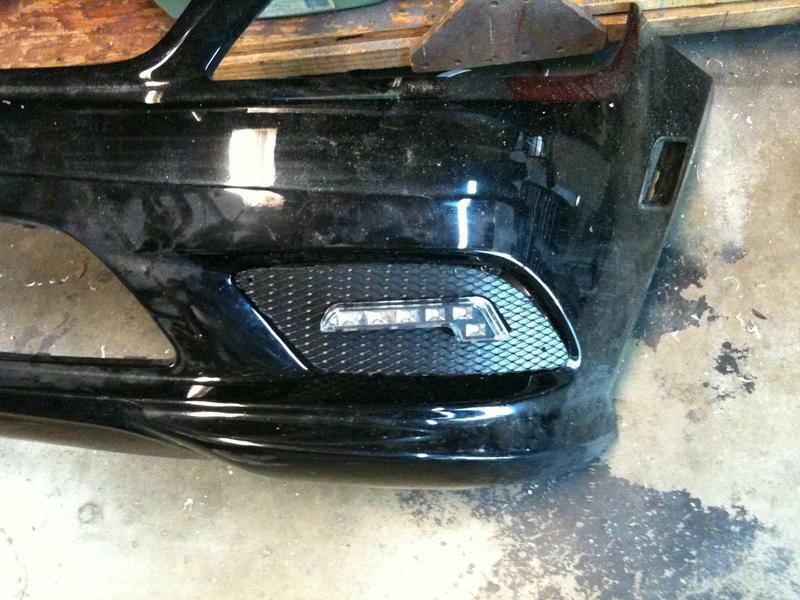 That is, the stock ones had the big holes for the foglights. Are the new ones for the LEDs basically "solid", with only a couple small holes for the mounting posts on the new light strips? Just wondering whether using these with other LED strips/hockey sticks would work with a little further cutting/drilling. I actually bought some of the ebay hockey stick LEDs and made a mesh surround/backing piece for them. It looked okay. Basically the mesh for the new style OEM LEDs has a 1.5 inch slit in the middle running side to side, the LED fixture just presses in from behind. Naw, not interested in getting generic mesh and do a hack-up job. I would do this to go for the OEM look, but don't prefer the extended pieces/accents on the factory LED strips. I may get OEM inserts since Blue stated there's just a 1.5" slit, so should be fairly easy to fit an aftermarket straight LED strip. Thanks for the info. Blue, would you be interested in selling your OEM strip LED DRL lights since you have the hockey e-class style? ?